Pakistan has been capitalising on its success of turning the tide against the polio disease. ISLAMABAD: Pakistan has launched a three-day anti-polio drive in the capital after remnants of the crippling virus were found in sewage, officials said today. The campaign began yesterday after a sampling of sewage showed remnants of the virus though no case has been reported from the capital in over 10 years. Dr Rana Safdar, chief of polio eradication center at National Institute of Health, said that drive was preventive in nature to eliminate chances of any new polio infection. Pakistan has been capitalising on its success of turning the tide against the polio disease. The country reported more than 300 polio cases in 2014. Since then the number of those inspected has been largely controlled and this year so far only two new infections have been reported. Last year, the total infections were limited to 20 people. Analysts said the success was due to the aggressive vaccination drive and defeating militants who had opposed polio vaccination as a Western conspiracy to sterilise Muslims. 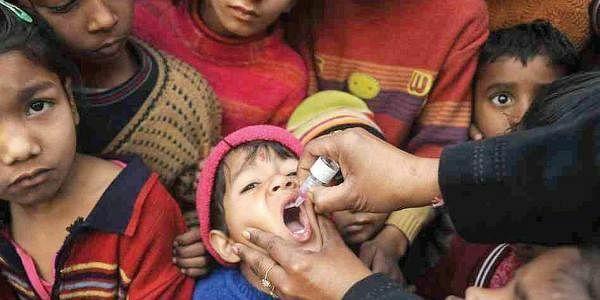 Pakistani officials believe that the country can earn polio-free status in the next two to three years.